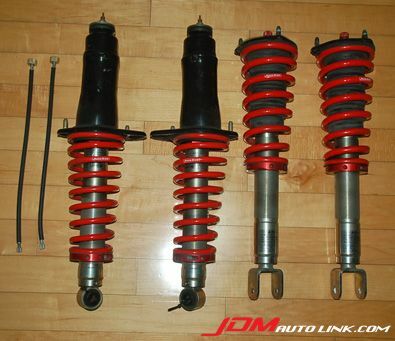 We have a mint Autoexe Sports Tunable Suspension Kit for the Mazda RX-8 (SE3P). 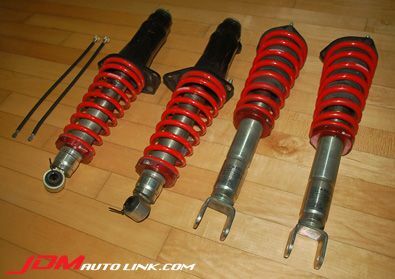 This is a full length height adjustable suspension kit that puts sports performance first with features like a hard setting mono tube damper and linear rate race spring, and an aluminum upper mount　with enhanced bush. Without interfering with cooling performance, the newly developed thin φ40 piston reduces friction surface, which decreases friction during damper operation. This has the effect of facilitating uniform handling while simultaneously restricting discomfort. 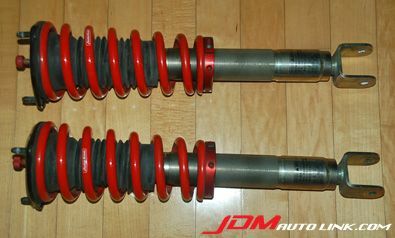 The damping force is adjustable in 12 levels. 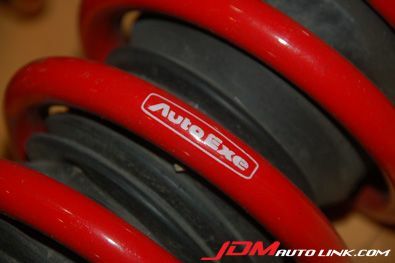 New from Autoexe costs JPY 204,750 / USD 2,500. 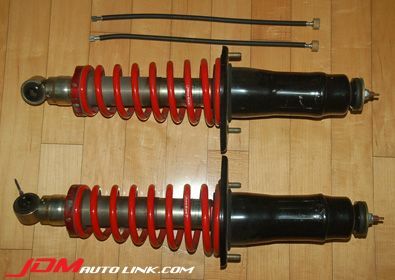 We are selling this mint coilovers at a fraction of that price. Email us at sales@jdmautolink.com for pricing.